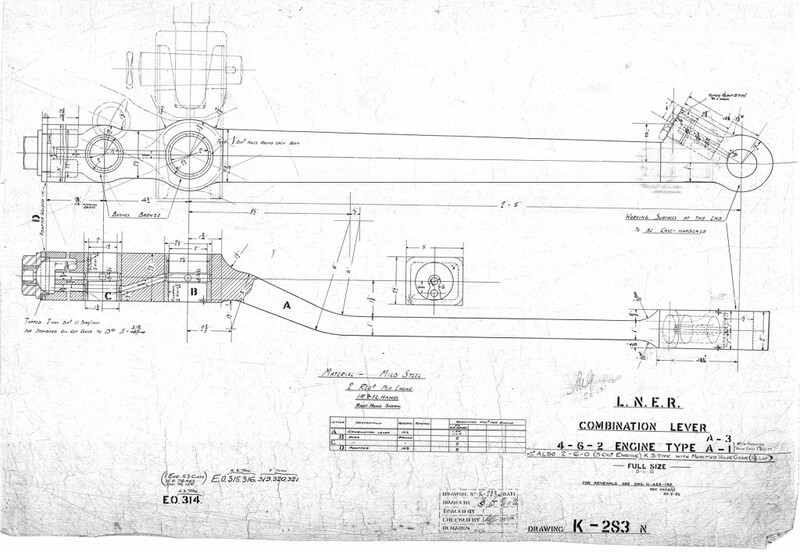 Our historic collection of railway engineering drawings is an invaluable tool for anyone restoring a steam locomotive. 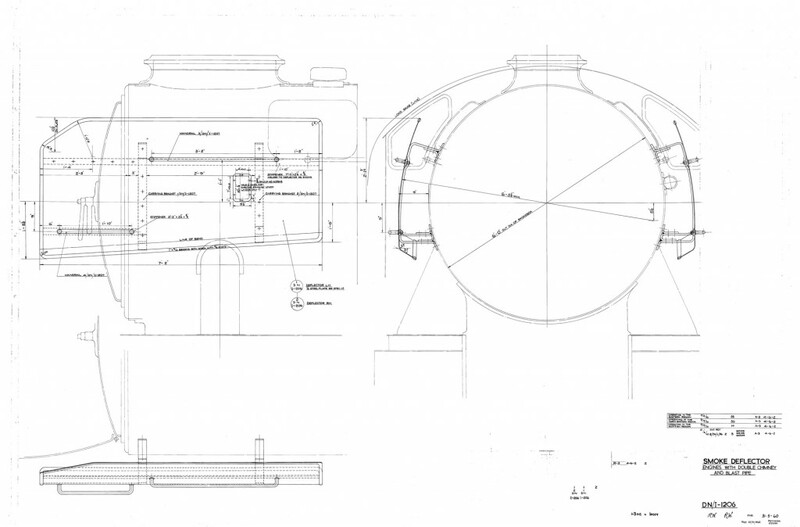 When overhauling a loco, a good drawing can save thousands of pounds and hundreds of hours of hard graft. Without a drawing you’ll need to reproduce new drawings, which requires a lot of expertise and time, plus a great deal of confidence that you’ve got your measurements right. Original drawings give you certainty that you can manufacture exactly what came out of the workshop a hundred years ago. Moreover they can teach you all the lessons that the original engineers learned over the locomotive’s life – the small incremental changes they made to the design to improve performance and safety. This fantastic coloured general arrangement shows Sir Nigel Gresley’s A1 class as built, just how Flying Scotsman appeared until it was rebuilt as an A3 in 1947.The drawing was signed by Sir Gresley himself in 1923 and we believe it spent much of its life hanging in the CME’s Doncaster office. It would have taken many hours of careful work to painstakingly hand draw and colour this drawing – all the more daunting for the draughtsman given where it was to spend its life. We’ve spent the last few months conserving the drawing and then digitising it. It has returned to the safety of our stores for the time being to make sure its vibrant colours are not damaged by light, but an original waxed linen version is available to view and photograph on request for any visitor to the museum’s Search Engine library. Also, from the 25 February and throughout the Flying Scotsman season, we are offering special prices on copies of this drawing only in Search Engine, with up to 80% off our normal prices on a selection of Scotsman prints. If it was good enough to hang on Gresley’s office wall, you might like it as well.